Quality HVAC service in Glendale CA can be very important to your home or office. Furthermore, it can be very important in many times in addition to the summer months. For example, heat pumps require a functioning HVAC system as well. Hot water and more are reliant upon the HVAC system, hence having it running in tip top shape is all the more imperative. Fortunately, the professionals at American Cool and Heat can make sure that your HVAC works properly no matter what season it is outside. Ventilation systems are so important to air quality within a home or office. In Southern California, the air quality isn’t always great outside. How many times have you seen in a weather report that the air quality in the LA area is particularly poor that day? As that happens far too often, having great ventilation in your home is all the more important. Like so many other things in a home, this requires fully functional HVAC service in Glendale CA, which American Cool and Heat can provide. 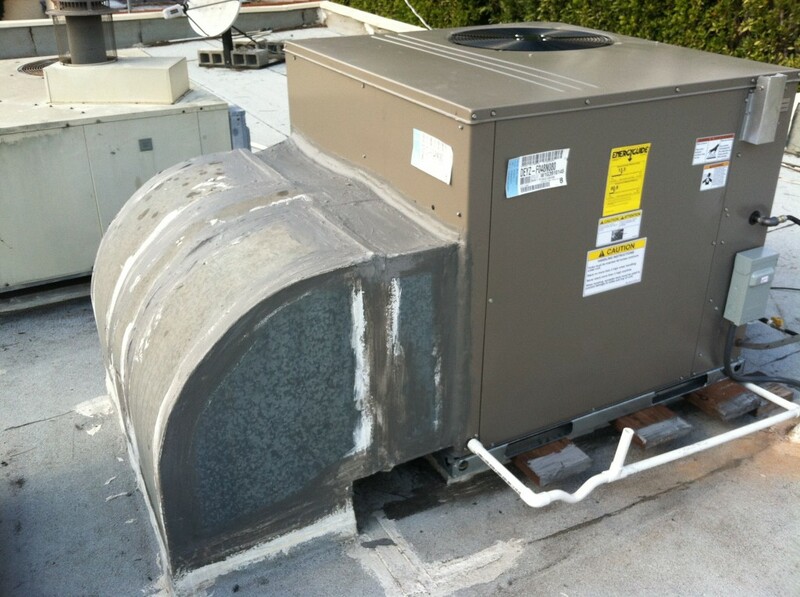 HVAC service in Glendale CA can take care of many facets related to ventilation systems. For example, they can fix your carbon monoxide safety testing. They make sure that the air filtration is in its best shape. Smoke removal and fume exhausts are two of the things that these systems help with. In fact, they make all entire industrial ventilation and exhaust systems work for companies and businesses. American Cool and Heat can bring that same level of care and detail to your home. American Cool and Heat’s HVAC service in Glendale CA can help with many different kinds of temperature control systems. Whether they’re electronic or electro-mechanical, computer-based energy management systems, Direct digital control (DDC) pneumatic or zoning; a working HVAC system can make sure that each of these systems is controlling your temperature. In the scorching summer, it’s more important than ever to have temperature control that will make your home somewhere you (and your family) want to spend your time. Many different kinds of machines need American Cool and Heat’s HVAC service to make sure they’re running their best. Steam boilers, boil feed bumps and hydronic boilers can be greatly aided by a serviced HVAC. On top of that, they can also greatly assist with makeup-air units and air rotation units. Heaters aren’t left out, either. Infrared heaters and unit heaters are two more kinds of heaters that this HVAC system can assist with. There are many different kinds of companies to choose from when it comes to Glendale HVAC service. While there are so many to choose from, it can be difficult to find that ones that can actually do the job right. Fortunately, American Cool and Heat are just a phone call away at 818-403-3128. They can provide a free consultation that’s onsite, so they can tell you what kind of HVAC service in Glendale CA you might need. When something goes wrong with your air conditioning or HVAC system, if you are like most homeowners you immediately panic. Not only do you fear losing the ability to use your air conditioner in the warm weather for days or even hours, but you worry even more about what it may cost to repair or fix your system properly. 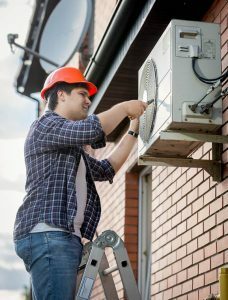 Air conditioner repair costs have the reputation of being very high, and the last thing you want to do is spend hundreds or even thousands of dollars for repair work often. There are steps you can take that can help you to keep the costs down on air conditioning repair in Marina del Rey so that you can save money and still have a system that works well for the long haul. As tempting as it might be for you to have your air conditioning running very often to keep your home cool, the more rigorous use your system gets, the greater stress is placed on the system. Overuse will wear down parts rapidly and limit the lifespan of your system to far lower than it should be, not to mention it can cause you to have sky-high electric bills. If you use your system carefully, such as by putting the system on a timer for use, or turning the system off when you are not at home, you will find your AC lasts longer, and you need fewer repairs. One of the keys to helping keep costs down on air conditioning repair in Marina del Rey is to make sure your system is maintained and cleaned properly. Proper maintenance will help keep your system in check so that small problems can be caught early, preventing them from turning into larger, more expensive problems down the road. Maintenance keeps your system clean and running at its best, so you have fewer disruptions. Using the right service to help you with your air conditioning repair in Marina del Rey will also help you to keep costs down. Here at American Clean Air and Heating, we provide our customers with expert repair services from licensed, experienced professionals that know how to help you best. If you need maintenance, repair, or service for your AC, give us a call at 818-403- 3128 to speak to our office and schedule an appointment. We can provide you with the expert, affordable repair work you need to keep your system at its best. Too many homeowners today take their central air and heat systems for granted. You just expect the system to be running well when you get up in the morning or when you return home at night, and never give it a second thought on most days. The problem is that without proper and regular maintenance and service throughout the year, it can be easy for problems to develop in your system that you may not readily notice. Then, suddenly, you find yourself coming home one day, and the system is running poorly or not at all. You want to be proactive about your HVAC service for home so you can make sure your system stays at its best. When you have invested a great deal of money in an HVAC system for your home, the last thing you want is for problems to develop that can cost you hundreds or even thousands of dollars in repairs. When you take the time to schedule regular maintenance for your system, it gives you the chance to have a technician come in, clean your system, and inspect it properly so that any potential problem areas can be caught right away before they can worsen. When you set up HVAC service for your system, you can save money throughout the year. The service provided to you will keep your system running as it should so it stays energy efficient and working. A system that is not bogged down will run the way it should, saving you money on your utility bills and extending the life of your system. You will also avoid those aggravating moments of frustration when you do not get the cool or warm air you need for your home. If you are seeking a quality company to provide you with the HVAC service that will help to keep your system at its best, give us a call here at American Clean Air and Heating. We offer expert repair and maintenance work for your HVAC system when you need it. 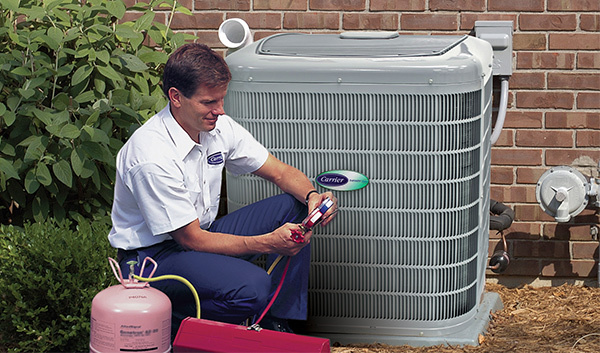 Our professional, experienced staff can assist you with all your HVAC needs. All you need to do is call us at 818-406-6000 to schedule a service call for maintenance, and we will be there to make sure your central air and heat work well for you throughout the year. It’s easy to put off certain things. From time to time, we’re all guilty of say, going too long between oil changes, or maybe putting off that next dentist appointment. Like other routine aspects of life, sometimes annual, routine HVAC service can fall through the cracks. You should know, however, that the benefits of having your HVAC system serviced each year can far outweigh the relatively low costs of simple maintenance. In southern California, the summer months tend to assume an endless blur. In the valleys especially, it can get incredibly hot. With this in mind, it’s vital that you keep your HVAC system up and running so you can stay cool when you need it the most. The best way to ensure that your air conditioning doesn’t go out the next time it hits 104 degrees is to keep up with your annual maintenance. An HVAC system is a complex piece of equipment, and much like a car, it requires routine maintenance to remain at peak performance. Besides simply ensuring that your system is less likely to fail, performing routine HVAC service has other rewards as well. For one, you can lower your energy bills: a system that needs to work harder to cool or heat your home is naturally going to increase your monthly bill. Secondly, you can expect fewer repairs down the road – especially the kind that cost thousands of dollars. Lastly, annual HVAC service will help maintain the longevity of your system – why burden yourself with the astronomical costs of a complete HVAC overhaul when affordable annual maintenance can give your system a longer lifespan? If these facts and benefits have reminded you that it’s time to schedule that annual HVAC maintenance for your home or business, then look no further. 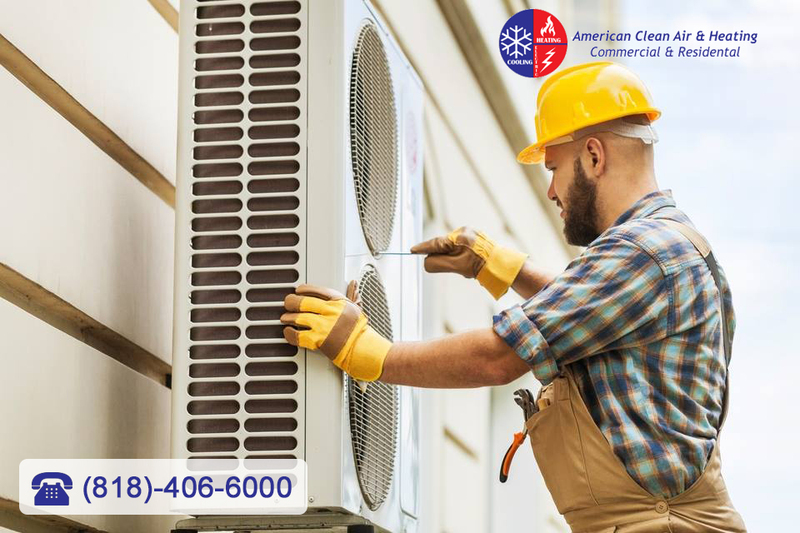 American Cool and Heat is the premier provider of HVAC service in the Los Angeles area, and if you ask around, our sterling reputation more than backs that up. Give us a call today at (818) 406-6000 to arrange for a free quote and estimate. 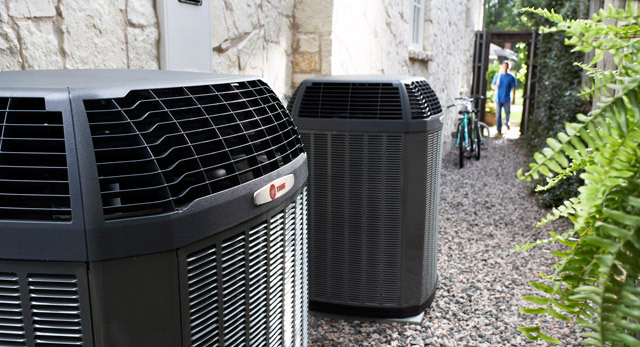 Our team of expert technicians at American Cool and Heat can ensure that your HVAC system is running properly and efficiently for years to come. Summer is quickly drawing to a close again, and while you still may have many days left of using your air conditioning in your home in Southern California, you also want to start thinking about the fall weather that will be here soon and the cooler days and nights that come along with it. While turning on the heat may be far from your concern right now, it is still a good idea to start planning so that you know your system is at its best to take on fall and winter when they get here. You want to make sure you remember to schedule your HVAC service for the year so you can get a proper system check. More than likely, your HVAC system has gotten quite a workout over the spring and summer months. The many hot days you have experienced are combatted by the AC running for you to keep you and your family comfortable. Your system has had to work hard all summer, so getting it checked before the fall makes the best sense. You can have an expert come to your home to look the system over and make sure there are no potential problems going into the fall months that could cause problems for you. A basic and routine maintenance check can help alert you to any problems and catch them before they have a chance to develop into something worse. At the very least, calling for HVAC service now gives you a chance to get your system cleaned properly before the weather gets colder. You may have clogged filters or ducts from all the debris and dirt running through the system constantly that can restrict the air flow of the system and prevent it from pumping hot or cold air correctly. Service can come and clean everything for you so that your system is free of debris and will have no problem working for you for the rest of the year. If you live in Southern California and would like to schedule HVAC service to get everything checked before the fall, please give us a call at American Clean Air and Heating. We are HVAC experts in the area and can help provide you with the maintenance and repair services you need most. Feel free to call our office at 818-406-6000 to set up an appointment right away and get Free Quotes for your AC Needs. While there are many homeowners that are proactive when it comes to the care of the systems and appliances in their homes, there are just as many that do not perform regular service until something goes wrong. Unfortunately, in incidences like this, when something goes wrong is often the sign of a very expensive repair or the need to replace the system or appliance completely. You may be the typical person that pays little attention to your heating and cooling system as it works for you each day, but it is important that you protect your system with quality HVAC service to keep it working its best. When you just let your HVAC system go all year without performing any maintenance, cleaning or upkeep, you are running a significant risk. The daily wear and tear your system takes is not readily visible to you so you, like many people, do not pay much attention to it. The problem is that your components will need to work harder and harder as the system becomes clogged with dirt, debris, and pollutants from the air. The stress on your system will lead the system to operate at less-than-maximum efficiency and will lead to the eventual breakdown of parts of your system. When this occurs, the work will be more labor intensive and cost you a great deal more. With our help at American Clean Air and Heating, you can get the HVAC service and maintenance your system needs the most to keep it running well. We are HVAC experts and can work with any system you may have. We can provide you with regular maintenance to fine tune your system, clean it up for you and make sure all the components are operating correctly for you. Our service will help to provide you with much longer life out of your HVAC system, saving you a great deal of money now and in the future. To learn more about HVAC service we can provide for you to help protect your system and home, reach out to us at American Clean Air and Heating. You can get more information about the services we provide when you visit our website at www.americancoolandheat.com and use our contact form to schedule an appointment with us. You can also call our office directly at 818-406-6000 to ask questions and schedule a service call. Performing regular maintenance and renovations on your home is just part of regular how ownership. There are always going to be changes, alterations and updates that you want or need to make to keep your home looking its best and functioning the way you want it to. One aspect that may often get overlooked in all of this work is your heating and cooling systems. Many people take these systems for granted and really only notice them when something is not working right or goes wrong. Now might be as good a time as any to look into working on a new central air and heating installation Los Angeles has to offer you to get your system the way you want it. You may have noticed over the last several years that your central AC system or heating system does not seem to be working as well as it should or you would like. The system may take a while to really get working well and the temperature does not seem to regulate the way you want so it is never as cool or as warm as you really need it to be. If you have had the same old system for a long time it could simply be time for you to look into an upgrade. The newer systems available today can run much more efficiently for you on a regular basis so that you get better performance. 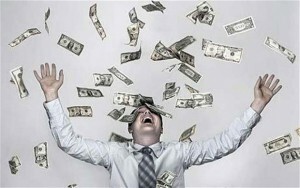 With a new system installation you will also find that you are able to save money on your utility bill all year long. New systems function better so that you they use less energy and provide you with much better performance overall. You will get the heating and cooling system you need the most that makes use of the latest technology to provide you with everything you need when you need it. You want to take the time to find an installation company that is going to provide you with a high quality system and the maintenance and support you need to keep it running well this year and for many years to come. Think about investing in some new installation this year so you can upgrade your old heating and cooling systems and benefit from all of the new advances that are available to you today. Most people may take for granted that when they come each day all of the systems in their home will be running smoothly. It seems only natural that you should be able to do something like switch on the air conditioning, turn on the heat or use the ventilation system without any trouble, but what would happen if you came home and realized that heat was working or that your air conditioning system seems to be not cooling the house well at all? It is important that you know not only about the different systems being used in your home but that they are properly maintained and repaired to keep them running well. You can turn to the quality HVAC contractors Glendale offers so that you can be sure to get the work done right. Why is regular maintenance of HVAC systems so important? If you do not get regular maintenance done on the HVAC systems of your home you are bound to run into trouble at some point. It is only when the systems are cleaned regularly, maintained properly and has worn parts and filters replaced that everything keeps running correctly. You have no problem bringing in your car for regular oil changes or maintenance to keep it running correctly; you should be willing to do the same thing with your home. Have the system inspected twice a year to make sure it is running at peak performance. Ideally, you can have this done just before the summer months start and just before the winter weather approaches. This way you can be sure that heating and air conditioning (priorities for those times of year) are working the right way. 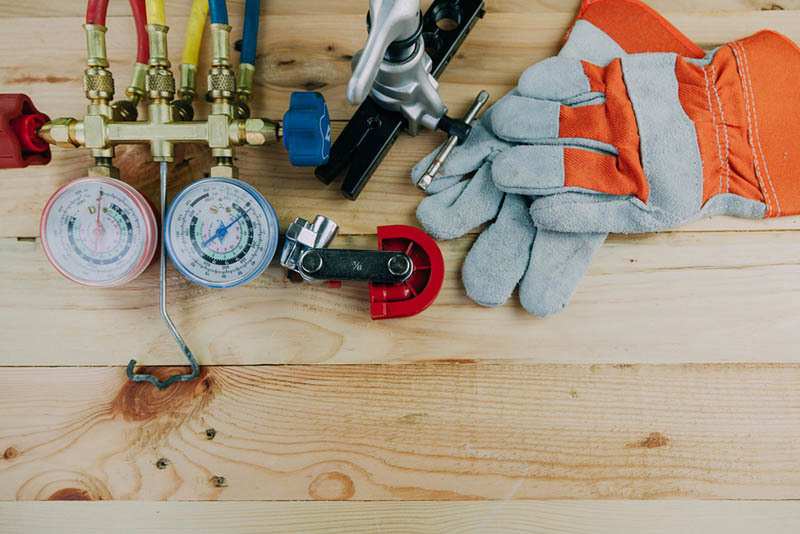 A quality HVAC contractor will be able to come into your home and inspect your system inside and out to make sure that everything is running properly, vents are clear, filters are not clogged and everything about your system is proper running order. They can do testing on your system to make sure it is operating the way it should, make recommendations to you about parts that may need repair or replacement and do the work for you so that everything is ready for the coming season. If you know it has been a while since you had your system checked, reach out to one of the quality HVAC contractors Glendale has today so you can arrange an appointment. You will then be able to rest comfortably knowing your home has been taken care of properly. If you have a home with central air conditioning you may find it difficult to imagine what life would be like if the service suddenly was not working. This is particularly true if you live in an area of the country like California or Arizona where air conditioning can sometimes be needed no matter what time of year it may be. In order to make sure that your central air unit is always running properly it is a good idea to get it checked periodically and have it maintained. Should you ever have a situation where the system is not working, then you want to be able to call a reliable source to help you with central AC repair in Los Angeles. Having a company you can turn to when you need repairs can be of great importance. You do not want to have to deal with the heat in your home getting worse and worse while you wait for a service to arrive or try to find one you can trust. Take the time to learn of the best service available in your area so you know where you can turn if the occasion ever arises. You can then place a call to the service and then can dispatch a technician as soon as possible to help you out. When you are looking for a quality repair service you want to be sure that the technicians they use are experienced, knowledgeable and properly licensed to do the work you need done. This allows you to have the confidence that the work will be done correctly so that your AC unit can be up and running again without any issues. You want a service that is familiar with all kinds of systems right up to the latest available so they aware of the technology, tools and skills needed to make sure that your AC is fixed the way it should be. Getting quality central AC repair in Los Angeles should be a priority for you even if you have never had any trouble with your system as of yet. It is always a good idea to have the name of a service you can trust on hand should you ever need it right away so you know just where you can go when you need help the most. Having the right company ready to call can save you from the aggravation of going without your central air system when you need it. If you currently have air conditioning in your home or are looking at getting a new system installed or replaced you will quickly realize that there are dozens if not hundreds of different contractors and companies available that provide services to help with air conditioning and cooling systems. This can leave you wondering just where to turn and who you can really trust to come into your home and provide you with the quality help you need without trying to put something over on you or charge you outrageous rates. The best step you can take for yourself is to do some research so you can find the best professional air conditioning company Los Angeles has to offer. All you have to do is take a quick look in the phone book or perform a basic search online for air conditioning companies in the Los Angeles area and you will see all of the names listed. So how do you know who the best is for you to choose? Where do you even start looking? Your best place to start would be by asking friends, neighbors, family and colleagues who they might use to service their conditioning systems or who they used for installation. This should at least give you several names to start with to begin your search. You can then move on to the Internet, armed with the names you have, and do your own research, checking out websites and reading customer reviews. You want to check over the companies you have chosen carefully to make sure you are going to get experienced and qualified help. Check to be sure that the companies are properly licensed and insured to do the type of work that you need done for your protection. You may also want to see just how long they have been in business in the area and what type of reputation they have established in the area. Finally, you may want to call two or three of the services to talk to them on the phone to discuss what you need and ask questions about their service, prices and the like so you can get a good feel of their business. Once you have done all of your research you will have no trouble narrowing things down to the best professional air conditioning company Los Angeles has in the area and choosing them to help you out. You will be satisfied in the knowledge that you hired the best company available to work with you and provide you with the help you need to keep your cooling system running well.